Gold prices at COMEX rebounded Wednesday to recoup much of Tuesday’s big loss as the reality of the U.S. government shutdown sank in and the debt-ceiling battle loomed on the horizon. 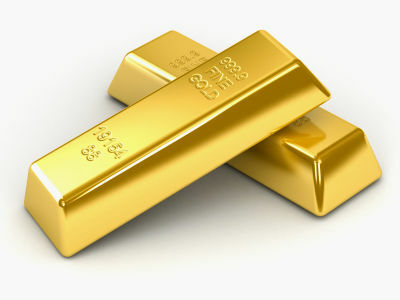 Gold also found support following disappointing data on U.S. private-sector employment. Data showed private-sector jobs rose by 166,000 in September, which was below forecasts, and August’s job gains were revised down. Some physical buyers of precious metals see the recent drop in gold prices as a “huge opportunity, especially in view of the U.S. budget crisis and the impending U.S. debt limit crisis,” And among gold’s supportive factors was “overall safe-haven flows” into assets such as U.S. bonds and the Japanese yen. Earlier, Gold at international bourses traded near two-month low on Wednesday as the first US government shutdown in 17 years caused investors to sell the precious metal, prompting already jittery traders to believe there could be more liquidation. Technically the trend of MCX gold futures is consolidate to bullish and is expected to continue with the trend for the day. we suggest that MCX Gold has a consolidate trend with a strong support at 29750-29820 range and resistance at 30250-30300 range. Buy on dip has been suggested with a stop loss of below 29750.